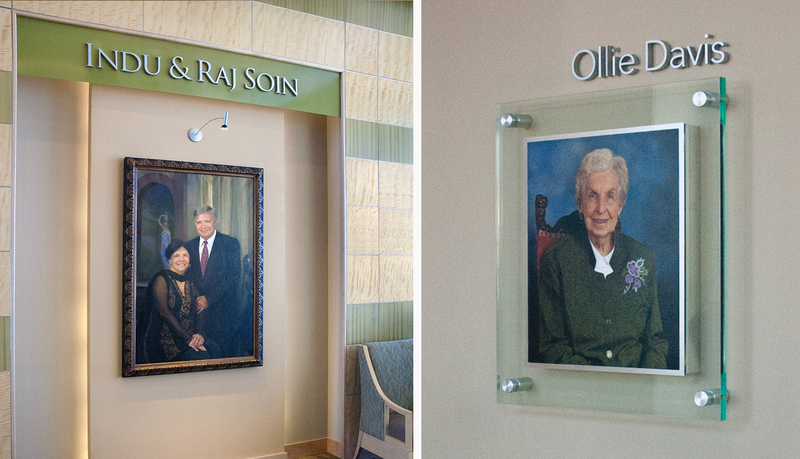 The Indu and Raj Soin Medical Center, opened its doors in 2012 as a serene, hotel-style environment specifically designed to promote peace and healing. 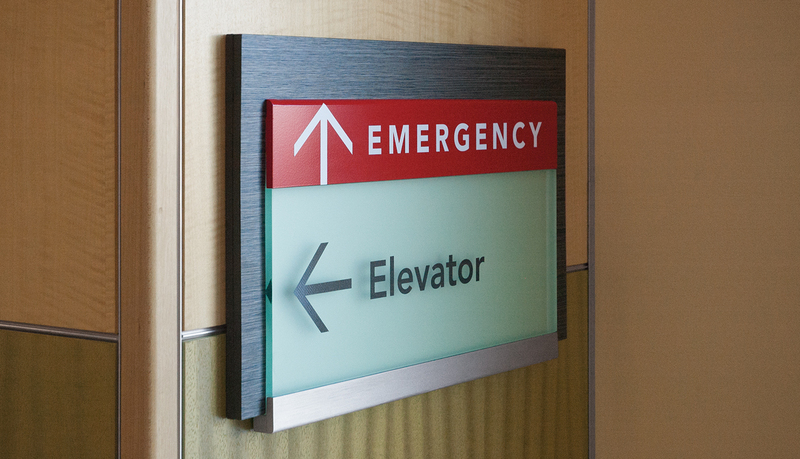 Services include emergency care, heart, surgery, and radiology with a maternity center. 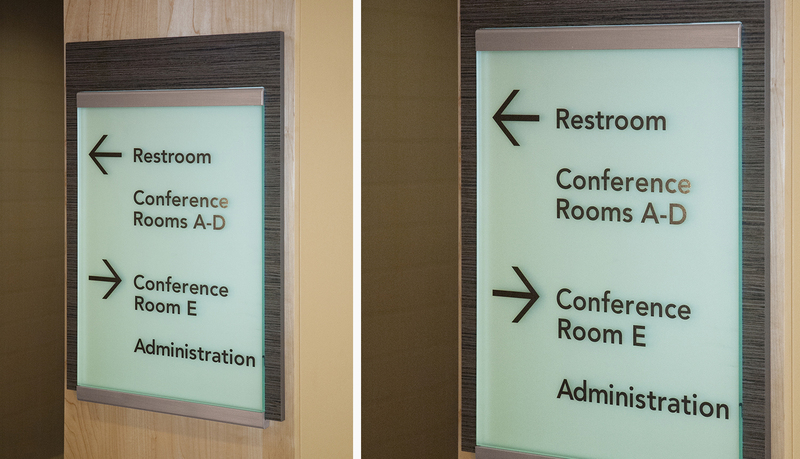 ASI, Cincinnati provided all interior wayfinding and room identifications prior to opening. 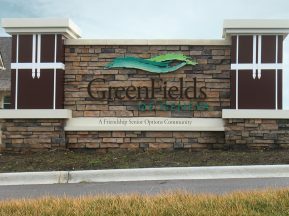 The $135 million project took just over two years to complete. 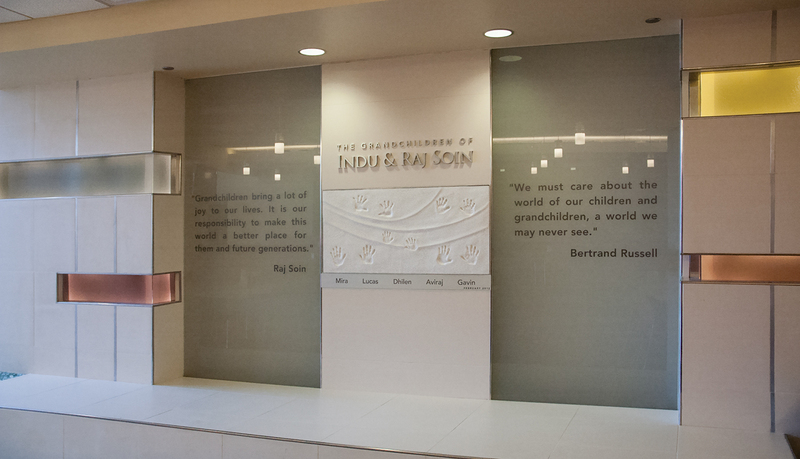 ASI, working with arc media and Jain Malkin Inc., also created several prominent donor recognition walls and portraits to recognize their generous donors and to inspire future giving. 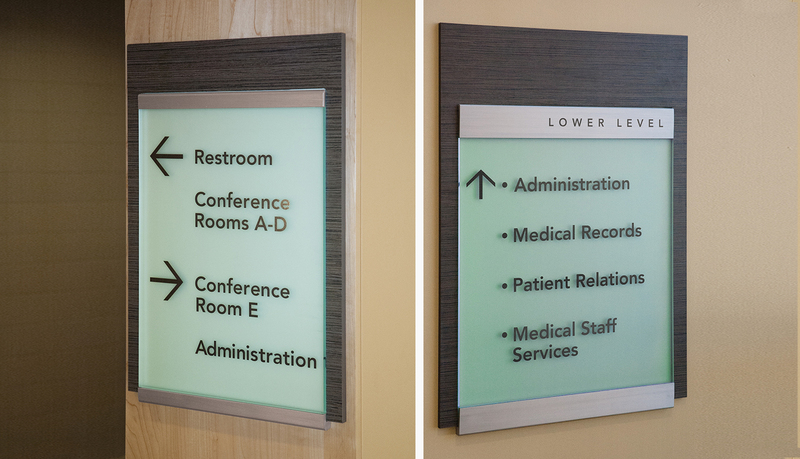 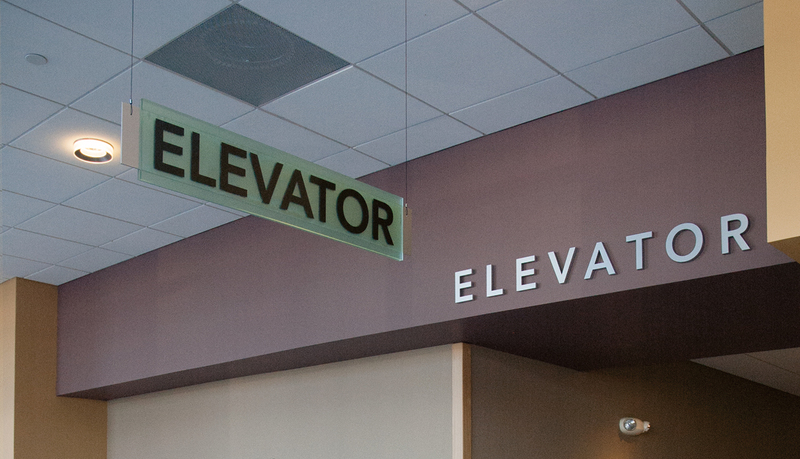 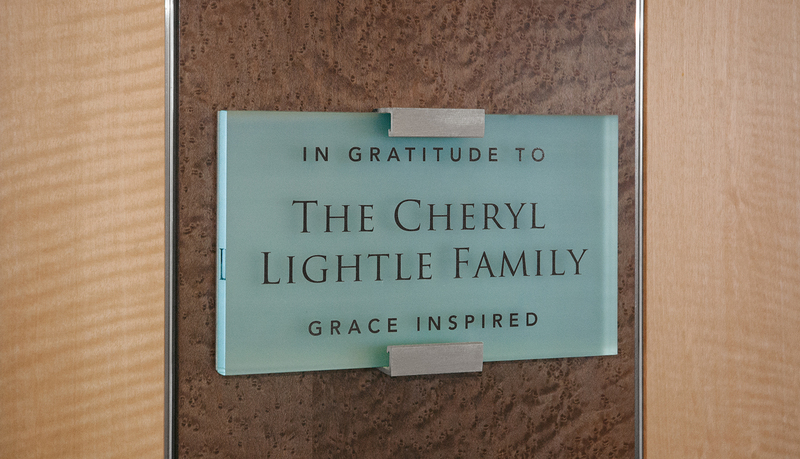 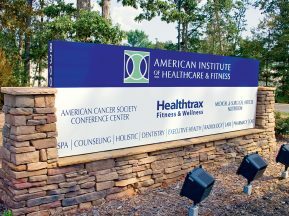 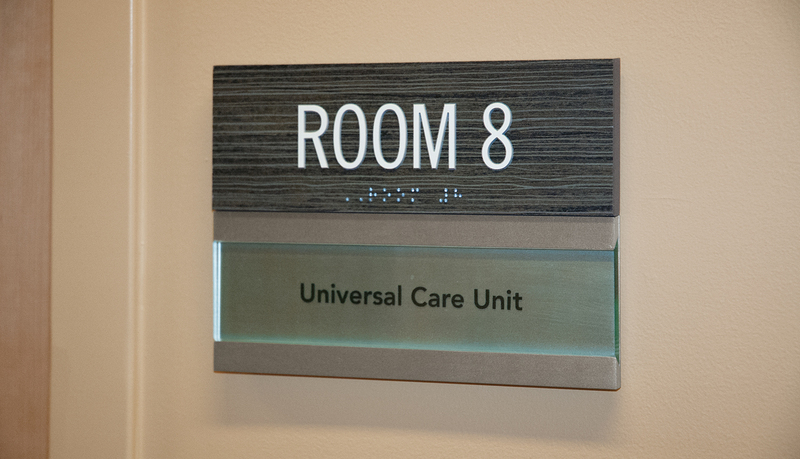 The custom sign finishes are consistent with the overall medical center design, intended to promote peace and healing, with simple, yet elegant features that include brushed aluminum, 3030 green glass acrylic, and wood laminates with large, clear copy. 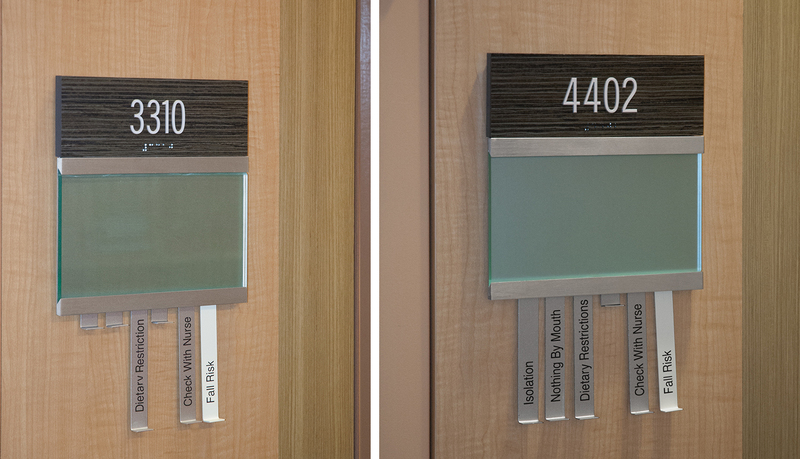 The patient room signs include custom pull tab messaging. 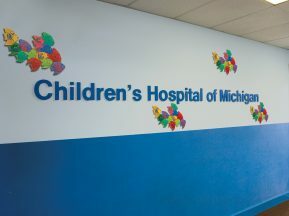 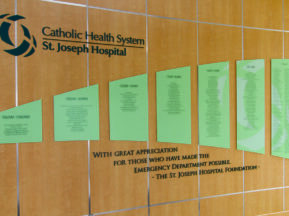 The main lobby donor wall, located in a large, two story lobby features three panels that are illuminated through the base to attract the visitors to the medical center. 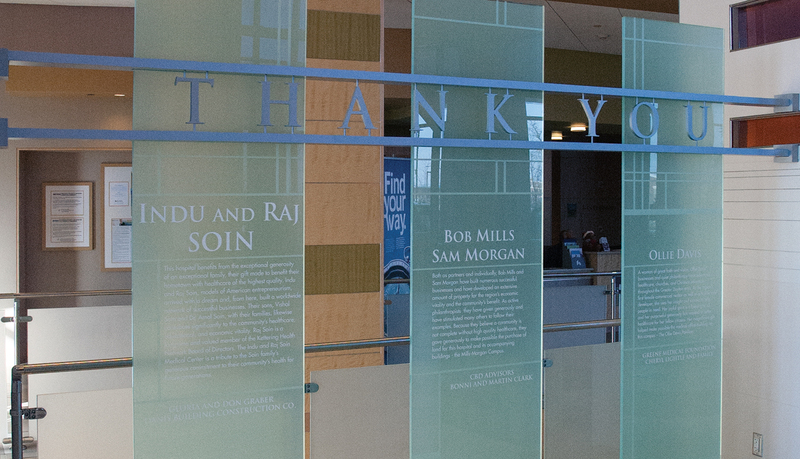 The donor panels are updatable to feature future donors.